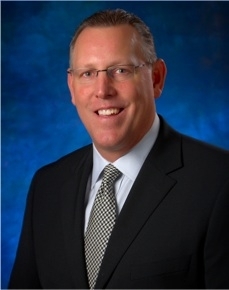 Mr. Brian T. Sorenson is a Sales and Marketing Expert of Integral Board Group as well as a business leader in the Consumer Packaged Goods industry. He has over 25 years of experience in leading high performing teams from entrepreneurial start-ups to multi-billion dollar operations. Mr. Sorenson is a transformational leader with a proven performance track record to deliver business results and strategic initiatives in challenging environments and most recently served as Nestlé Vice President of Sales for the Pizza & Snacks Division. He has experience in private equity and has successfully helped position and sell fast growing businesses in the Natural & Organic space. Mr. Sorenson possesses extensive channel of trade expertise and has developed deep customer relationships within the industry. He is an expert in organization effectiveness & design and has led multiple integrations post-acquisition in his career. Mr. Sorenson also specializes in re-organizations and restructures to meet industry challenges and changing consumer dynamics. His broad expertise and responsibilities include P&L accountability, trade & shopper marketing, cross functional annual planning, category management, new product development, distribution strategies, brand development, 3rd party agency & broker leadership, customer joint business planning and supply chain effort to include direct store delivery (DSD). Mr. Sorenson graduated from San Diego State University School of Business with a BS/BA degree with a concentration in Marketing. He also attended Cornell University Food Industry Executive Management Program.